1. Preheat oven to 350º F. Sift together flour, sugar, baking powder, and salt into mixing bowl. Make a well in center of dry ingredients. 2. Add water, oil, egg yolks, grapefruit juice, and lemon rind. Beat until smooth. 3. Beat egg whites and cream of tartar separately, until whites are stiff but not dry. 4. Gradually fold egg whites into the cake batter, folding gently with a rubber spatula until just blended. Do not stir the mixture. 5. Pour into an ungreased 10-inch cake pan. Bake at 350º degrees for 25 to 30 minutes, or until cake springs back when lightly touched with a finger. Invert pan on cake rack until cool. Run spatula around edge of cake. Carefully remove from pan. With a serrated knife, gently cut layer in half. 1. Let cream cheese soften at room temperature. Beat cheese until fluffy. 2. Add lemon juice and rind. 3. Gradually blend in sugar. Beat until well blended. Add food coloring. 4. Add reserved grapefruit and blend into frosting. 5. Divide the frosting evenly into two bowls. 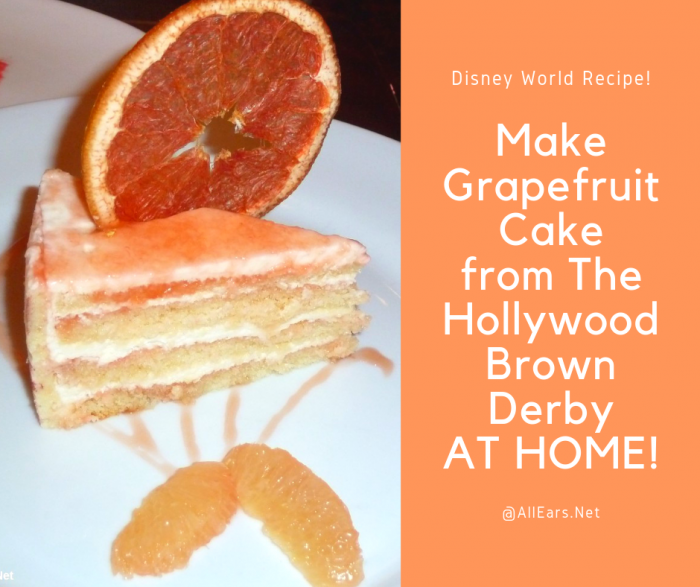 Roughly chop 2/3 of the grapefruit sections and add them to half the frosting. Spread this mixture on the bottom half of cake. Top with several grapefruit sections. Cover with second layer of cake. Frost top and sides. Garnish with remaining grapefruit sections.